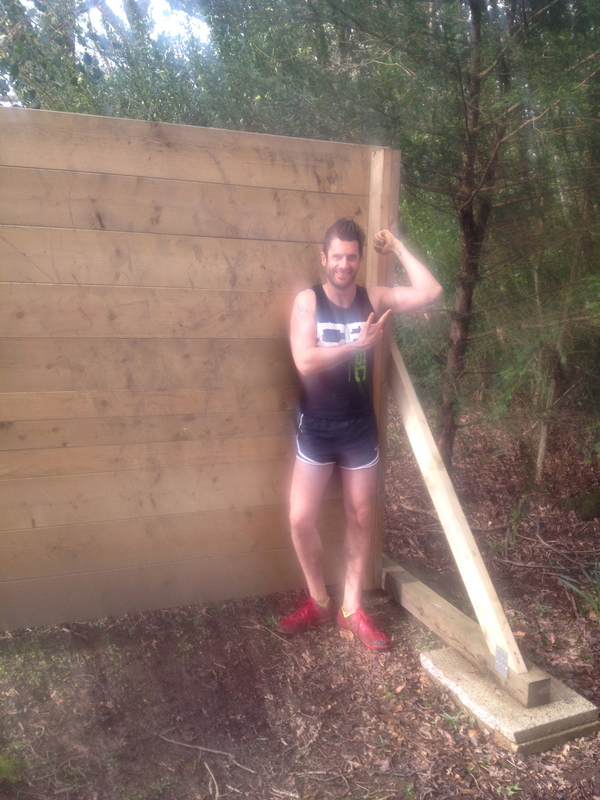 how to win an obstacle race. As some of you know, I’ve signed up to run the dirty dozen race on the 5th April, along with my team of ‘grubby gardeners’ (find out more here: www.justgiving.com/grubby-gardeners). 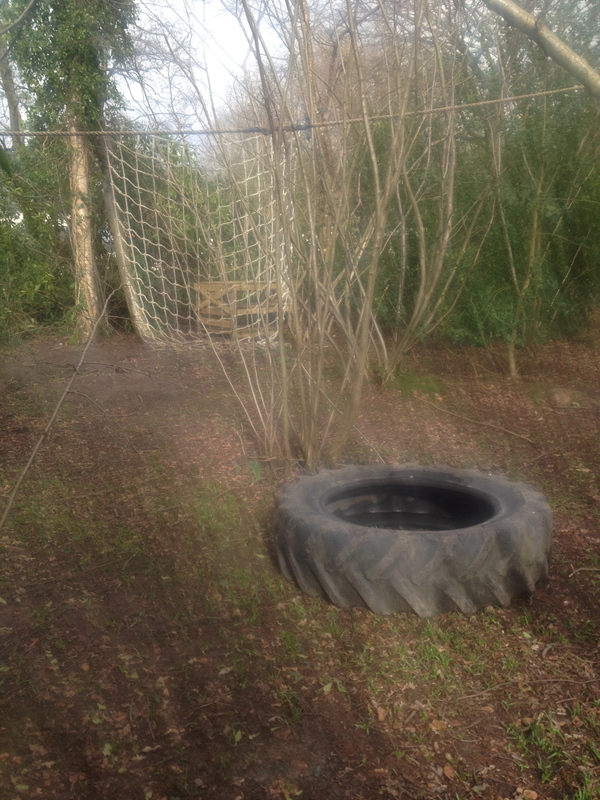 When I was signed up earlier this year, race organiser Doug (also known as ‘the beard’) offered me 2 hours of his time, in his own back garden, on his own hand-built obstacles….. and here’s what happened! Apparently, the key to success is an obstacle race is not necessarily brute force and strength, but understanding technique. When faced with a 10 foot wall, I turn to Doug looking flummoxed. But, he soon demonstrates how I can twist my body to the side and use my feet as leverage, then hook my knees over to pull myself up.. and over the wall! It works! 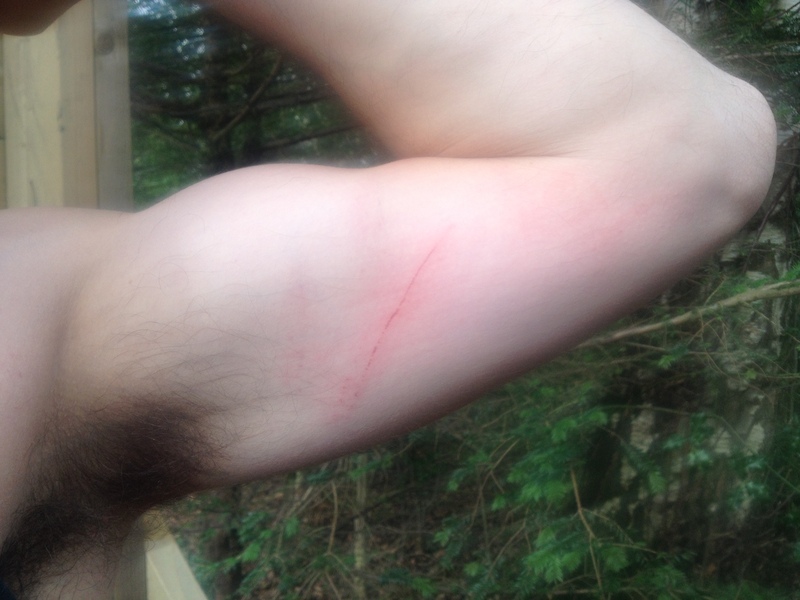 I failed at the awkwardly shaped monkey bars (square, not round, it hurts like f***! ), but impressed Doug with my ability to hold onto an awkward wood plank by my fingertips, and travel 10 feet to the right. 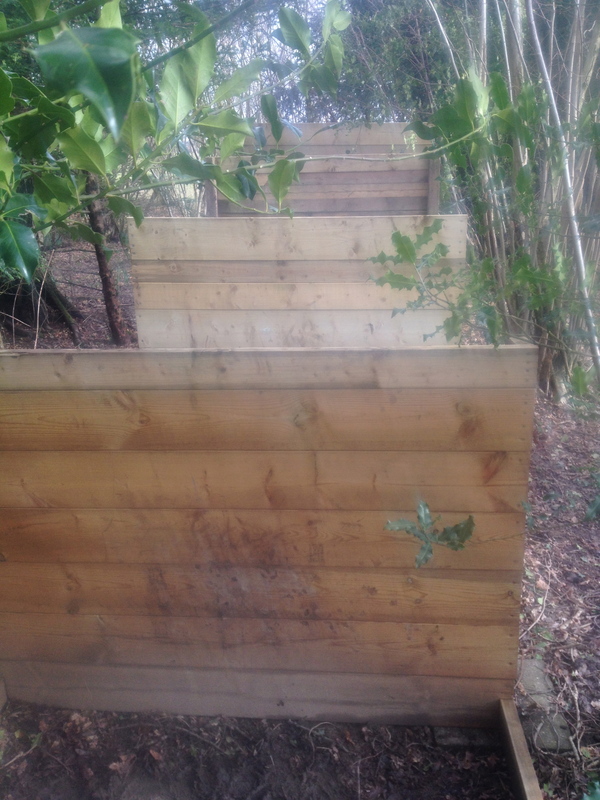 I chickened out of the 6 foot high slippery log walk, but achieved an upside-down rope journey, it’s all in the legs…! 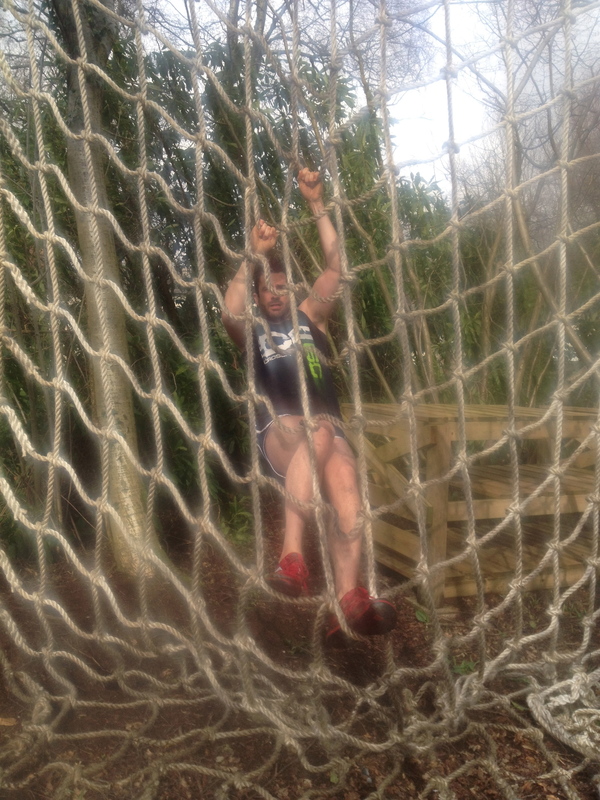 This net climb was tricky, as the rope is wide and swings wildly as you climb.. I fell down once (see injury below) but smashed it the second time, as Doug showed me how to balance my body and when and in what position I should step over the net to descend the other side! I loved these 2 hours. I was learning, not just how to perform physically, but also about conditioning my mind. So many times I shouted out ‘f***, i can’t do this!’ which was silly, as I should have shouted out ‘f***, i CAN do this!’ I’ve got that work on.. oh, and the swearing obviously! Thank you so much to Doug, and his back garden, for this invaluable session. I’ve now got loads of tips to pass on to my race team. It proves that it’s achievable when you know how, and it isn’t all about being a top athlete, cos I’m certainly not!